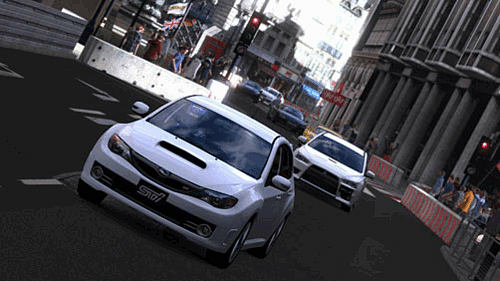 Gran Turismo 5 Prologue showcases the automotive experience that is imminent with Gran Turismo 5. Featuring 71 meticulously detailed cars - including vehicles by Ferrari, Audi and Nissan - for users to race on six beautifully rendered reversible tracks from around the globe, Gran Turismo 5 Prologue runs in stunning 1080p High Definition. 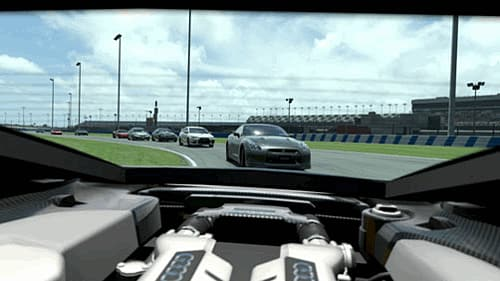 Gran Turismo 5 Prologue will also introduce to the franchise an in-cockpit view, providing a unique perspective for Gran Turismo 5 Prologue players and featuring real-time gauges and human animations that accurately represent the true performance and handling of each vehicle. 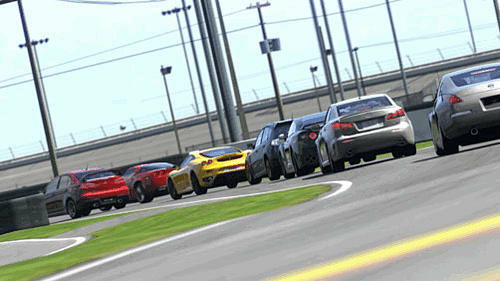 Additionally, in conjunction with a robust offline experience, for the first time in the history of the Gran Turismo franchise, Gran Turismo 5 Prologue will support up to 16 players racing head-to-head online, complete with community events and leaderboards, to quell any question of who is the best driver in the World of GT. Dedicated to expanding the player's immersion in automotive culture, Gran Turismo 5 Prologue will feature access to Gran Turismo TV, a dedicated online channel available exclusively from PlayStation Network. In effect, Gran Turismo 5 Prologue delivers some of the greatest motorsport and manufacturer content that television has to offer. 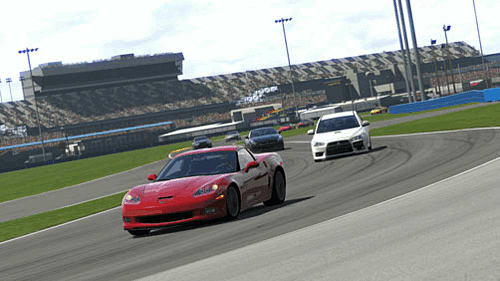 Play Gran Turismo 5 Prologue Online! 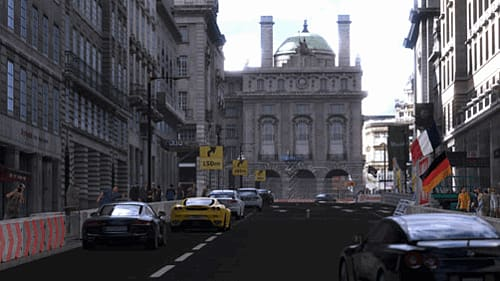 : A first for the franchise, Gran Turismo 5 Prologue supports online racing with up to 16 drivers racing simultaneously on a beautifully rendered race track. Race 71 high-performance and exhaustively detailed cars: Gran Turismo 5 Prologue includes vehicles from Ferrari, Audi, Nissan and Mitsubishi. Race on six stunningly realistic tracks: the Eiger Nordwand, the Daytona International Speedway, the London City Track , the Fuji Speedway, Suzuka and the High Speed Ring - and then race them in alternative layouts. 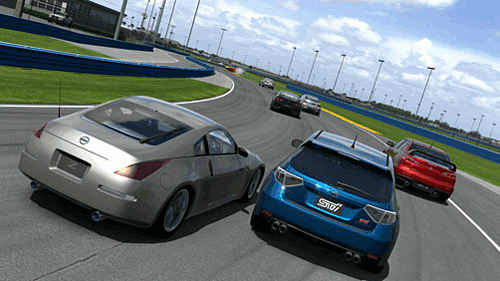 A new physics engine for a Gran Turismo game: Gran Turismo 5 Prologue delivers next-generation vehicle handling. True to the heritage of the Gran Turismo franshise, the physics engine in Gran Turismo 5 Prologue provides unprecedented realism and authentic handling specific to each car. A new in-cockpit view: Provides a unique perspective for Gran Turismo 5 Prologue players and features a customised dashboard for each of the cars in Gran Turismo 5 Prologue. Real-time gauges and human animations accurately represent the true performance and handling of each vehicle. 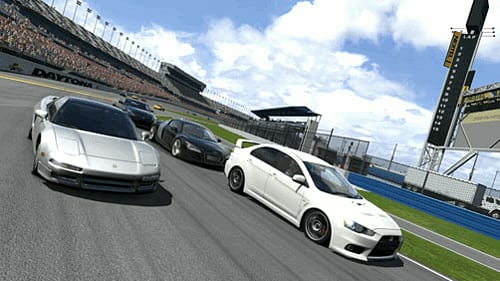 All-new and improved opponent AI: Gran Turismo 5 Prologue delivers a nail-biting and more strategic racing experience. Access to Gran Turismo TV: Gran Turismo 5 Prologue presents a clearinghouse of great motoring TV (video), programming (both HD and SD – all broadcast quality) online through PlayStation Network. Extend the real driving simulator: Gran Turismo 5 Prologue is also compatible with the new DualShock 3 controller, which has vibration functionality. Quick Tune facility: Allows Gran Turismo 5 Prologue players to adjust power, tires, suspension and more! Stunning near-photorealistic next-gen visuals: Gran Turismo 5 Prologue runs in stunning High Definition at 1080p (race: 1080p-60fps, replay: 1080p-30fps). Drift Mode – The player’s drifting technique is measured based on drift angles, racing lines, and speeds within evaluation zones located at various turns on the course. In Depth Car Tuning – Players have the ability to adjust the vehicle’s performance, including power, tyres, suspension and the ability for quick tuning whilst racing. Two-player Split Screen Racing – Allows players to race head-to-head offline. New Race Events – Online racing fans can join in on a new set of scheduled events and time trials.